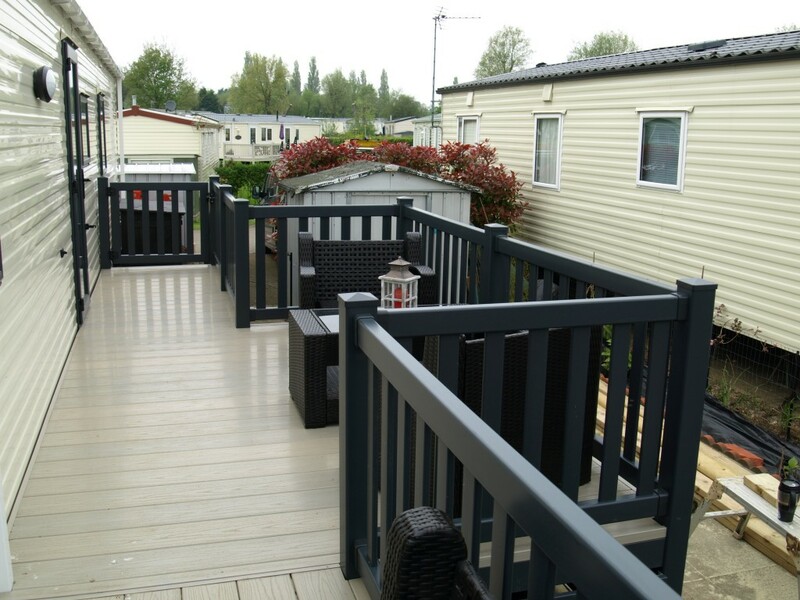 Set in the countryside of Buckinghamshire, Cosgrove Holiday Home Park with its open grounds and lakes is the idyllic holiday get away location. 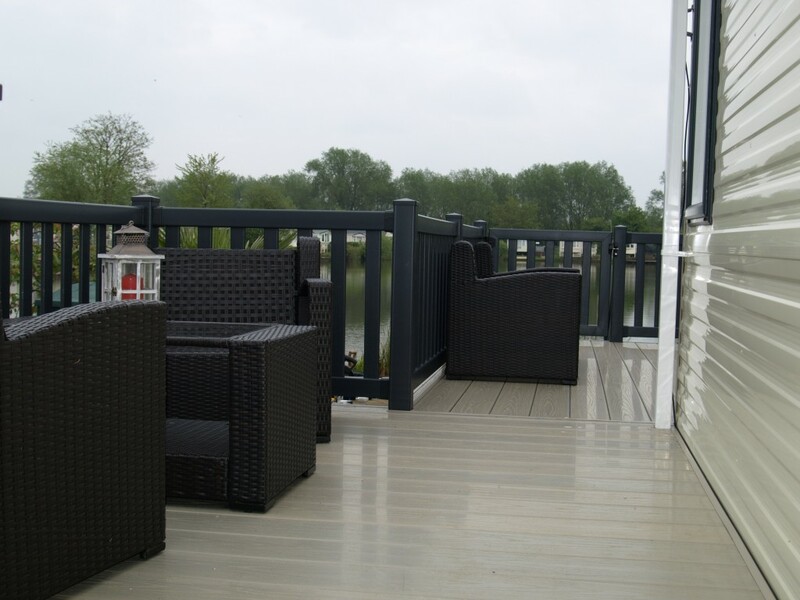 Fensys were asked by resident and owner of ‘ Love Decking ‘ to supply a deck that would make the most of his lake side location. 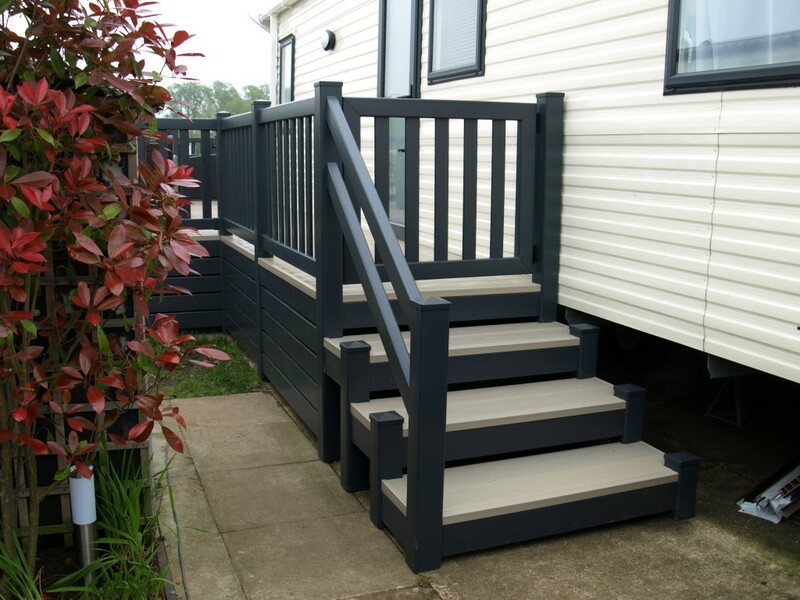 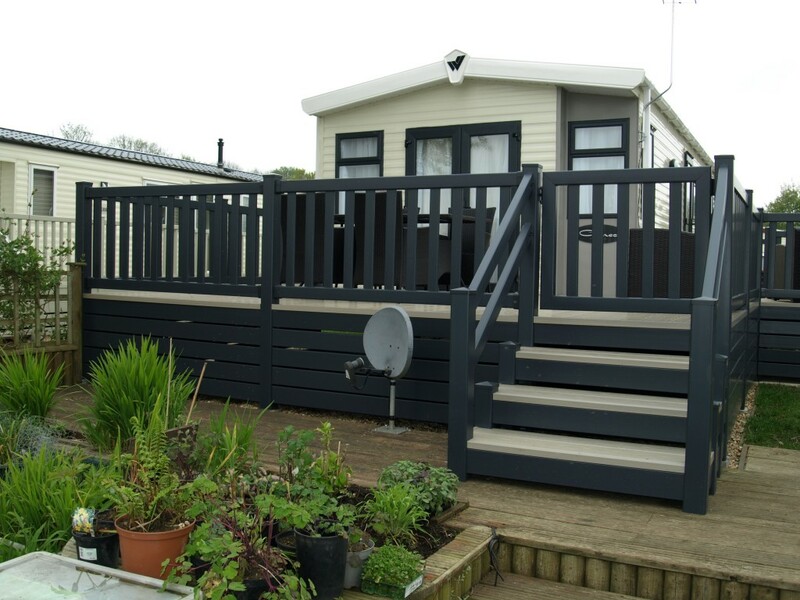 The decks construction includes a fully galvanised metal sub frame, Gayle Grey UPVC plastic balustrade matching the Gayle Grey holiday home windows, Natural looking Premium Excel 100% polymer Tawny deck board, 2 sets of steps one leading to a private fishing peg and self closing lockable gates to help keep visiting children safe. 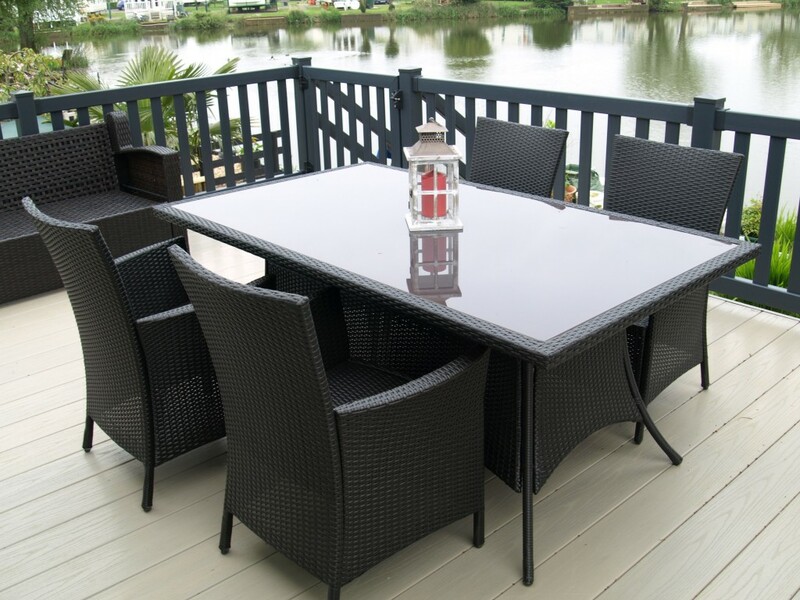 The finished deck has a small seating area to the side of the holiday home, and at the end a large relaxation area with low seating and a generous sized dinning table, all over looking the lake.